In a well-run seminar, students must disagree with each other respectfully, must try to persuade, argue using facts rather than polemic, and face the people with whom they disagree. They have to find points of agreement within their disagreements—or I strive to find it for them, anyway—and it’s by finding ways to explain to each other what they disagree about that the class makes progress. And this is what distinguishes the classes I count a success from the classes where I feel like I failed: while a bad class remains split between active teacher and passive/reactive teach-ees, a good class is one in which the group develops its own vocabulary, its own history, its own personality, when unresolved discussions in week one and two structure the kinds of unresolved discussions we have in week three and four, and so forth. You only understand your own position, I think, if you understand why others don’t share it (and why they believe what they do). In short, my story of a good class is not a narrative of conformity and control: it’s a narrative of socialized disagreement, of a group of people that can respect and work productively through and around and about everything that divides them. I find it easy to picture doing this in a classroom space. I find it hard to imagine doing this in chat-rooms, discussion boards, comment threads, and emails. I could be wrong, but I don’t think I am. Years in a classroom as an educator have given me strong opinions about why my classes fail and why my classes succeed. The sooner you learn your students’ names—and the sooner they get comfortable with using each others’ names—the more successfully they will engage with each other as people, rather than as props for their own monologues and performance. Managing time is an art, but it’s an art that depends on reacting to sub-verbal cues: knowing that you can sustain a discussion on character for only about 40 minutes before they get bored, for example, and how to mix discussion with in-class writing to keep a two hour class from going stale, and knowing when and where you need to drop the discussion you’d planned to teach in favor of the discussion they clearly walked into the classroom wanting to have… all of these decisions must pivot on something as small as the look on a student’s face, the character of a silence, and the reactions of students whose intellectual personalities you’ve come to know intimately. Try to do that on a discussion board. Seriously, try it. Moreover, there are always a handful of hyper-eloquent students who need to be persuaded—sometimes nudged, or even pushed—to step back, and to listen to other voices in the room. There are also, always, at least a handful of students that will not talk at all, unless you cultivate them with more skill than I sometimes have. It’s only by reading a student’s face that you can ascertain that she has an unexpressed idea burning in her brain, that all you have to do is ask her to speak up, and she will. And that then she’ll speak up again. And again. But this only happens when you’ve established a relationship of trust; when students are comfortable with you and with their classmates, you can see their minds working even when their mouths are closed. When they are not, you can’t; they come to class with a mask on, and they speak as they think they are expected to, performing a pose of what they think intellectual engagement is supposed to look like, the artifice rather than the substance. I vigorously agree with what Bady is describing about what happens in a classroom because that is both how I want to teach (and how I tried to teach when I was doing my student teaching) and very much how I learn. Especially as a graduate student, I’m seeing how the seminar-style structure of a course really allows students to explore the topic and find out what everything means. Even in this structure, though, there are wide variations of how that plays out. At Arizona State I really only had the occasion to take seminar classes a few times. It would have been twice, but my favorite professor continually forced his lecture classes to become seminars, requiring a lot of table shifting before class started and sometimes slow debates in a seminar with a lecture class’ worth of students. And yet, those seminar classes are probably the ones in which I learned the most. I am most confident talking about international justice and human rights, and I have a comfortable understanding of France in WWII and memory after atrocity. It was in those classes and others that I spent most of the time engaged in a long discussion about ideas and events, conversations that spanned weeks and informed my final paper from a number of perspectives. It was in those classrooms that I learned. But I would hesitate to even tell you some of the courses I took online, lest you think I know about those topics, because I didn’t really learn much about the Vietnam War, piracy in the Caribbean, or special education policies in the classroom. In each of those classes, I was merely given a reading list and a discussion board (respond to the question by Wednesday, respond to two student responses by Friday!) and then some essays. And so, like virtually all of my classmates, Wednesday evening and Friday evening saw a flurry of posts – and Friday’s was almost always somebody opening five tabs, skimming, and responding to the two easiest or most interesting. Nobody would ever go back to engage in actual discussion on the discussion board. Why would you? It’s just an online class. The only time I really saw people engaging with each other was when the professor of the piracy class asked us to reflect on the characteristics of pirate activity (looting, killing civilians, etc.) with President Bush’s policies in Iraq and Afghanistan. And you can imagine how that discussion went even if you’ve never taken an online class, so long as you’ve been on the Internet. I say that because it looked like any internet message board discussing a touchy topic – people typing over each other, some sass and sarcasm, some ALL CAPS. There was no facilitation of debate, just a kind of provocative question let loose upon Blackboard. Needless to say, I don’t think anybody learned. When I was teaching, I was never really able to facilitate a seminar very well. My classes were all made up of almost 40 high school students in a very crowded classroom, and I was usually planning things relatively last minute, so I didn’t have the greatest opportunities to really plan out discussion topics. But I knew my students and they knew me, and most of us trusted each other to do this whole “school” thing. I was able – the same way Bady describes – to really discern what was going on in the room and nurture some of my students’ thoughts. It was great watching students gradually open up and say what they had been pondering all hour long, and it was great to really watch a debate unfold when we talked about the more contentious issues. It was also a lot of fun playing devil’s advocate, because sixteen-year-olds don’t often get asked what they think about politics and they don’t often have people rebutting their opinions on immigration or tax policy. There are a number of times that I really think the class was able to move forward together and grow together. That type of learning really doesn’t happen in online classrooms where many students generally aren’t as engaged. There are some independent learners who excel at online classes, students who just need a reading list and maybe some power points. But there are also a lot who, like me, will learn enough online to get a passing grade, but not really enough to learn. And yet schools everywhere are pushing towards online. ASU has a huge number of online courses offered, and one school district in the Phoenix area is talking about requiring two online courses for all high school students so that they are “better prepared” for online courses in colleges and for online training in the workplace. Colleges are funneling students into online courses for a lot of introductory classes now, making the foundational knowledge on which the rest of your education a shaky one. Online classes can be done right, and there are students that could benefit. But that’s not what’s happening here. What’s happening here is students being forced, either by requirements or by the simply math of more students than there are seats in the remaining classrooms, to take courses that have been created first and foremost to change education for the worse – to make it cheaper, to make it easier to grade, to make it quicker. We need to preserve what’s left of the classroom, and we need to fight to rebuild what’s been lost. Online classes are a dark, looming future, and they’re not the way forwards. Online classes are a move backwards. A step away from education, and a step we shouldn’t keep taking. The Daily Wildcat is reporting that the minimum tuition bill, that would have forced students to pay at least $2000 in tuition regardless of need-based scholarships, was withdrawn yesterday. It’s great news for students – and really anyone who cares about higher education. Thanks go out to everyone who raised a fuss and especially student activists that were involved in speaking out against the bill. The university and all other state educational institutions shall be open to students of both sexes, and the instruction furnished shall be as nearly free as possible. Recently, State Representative John Kavanagh introduced a bill, HB 2675 [pdf], that would establish a minimum tuition that has to be paid by the student. The bill will force students to “pay $2,000 unless they have a full-ride scholarship based on athletics or academics” – effectively getting rid of needs-based full-ride assistance. The bill, if passed, would even restrict students’ ability to pay with other awards: it says that any other awards from a source affiliated with the university cannot be used to pay for tuition. This would include things like this fellowship that I won in my junior year, or countless other awards offered by the university, colleges, centers, and even the university’s foundation, forcing students to either work or take out loans to pay for their education. The bill has 24 sponsors right now, and the body is comprised of sixty members. It’s not unrealistic to believe that this bill could become law very soon. It was introduced in the House by John Kavanagh, who you might know as the representative who was a staunch supporter of controversial SB1070 and was a big supporter of contracting with private prisons, in addition to the mastermind behind charging people $25 to visit their family members in prison. Not coincidentally, he is also an active member of ALEC and he received donations from prison privatization lobbyists. It looks like he’s now set his sights on higher education. According to the linked article, Kavanagh thinks that $8,000 in loans isn’t much since those who choose to go to college will make more than those who don’t. Not only does that ignore the fact that many students who get full-ride scholarships still take out loans for cost of living, an $8,000 loan turns into almost $12,000 due to interest. Kavanagh also defends the fact that merit-based full-ride scholarships remain intact by saying that they contribute to the school. Because if you don’t get recognized for your intellect of your athleticism in the form of cash, you must not bring anything to the table. He also argues that tax payers shouldn’t pay for higher education because then students don’t take classes as seriously and because it encourages enrollment of students who aren’t actually ready for college. He actually said that. It’s important to note that the state constitution says that education must be as nearly free as possible. Instead, Kavanagh thinks it’s appropriate to throw a $2000 tuition increase at the most vulnerable students. The response in Arizona’s universities will be interesting. The universities in Arizona have been hit pretty hard over the years, including massive cuts in state funding over the last three years. Just during my time at ASU tuition has skyrocketed while class sizes get bigger. By law, each university will have to host a public hearing about the law since it constitutes a tuition increase for some students. It will be interesting to see if the student community can mobilize itself enough to speak up about this bill. In my junior year at ASU I was awarded a fellowship to work with a professor on a research project. His research project was particularly interesting because of the framework: he was researching counter-insurgent discourse in Southeast Asia, West Africa and Western Europe. His research was diverse, but boiled down to trying to figure out who was on “our side” in contested regions, and how to connect with them. 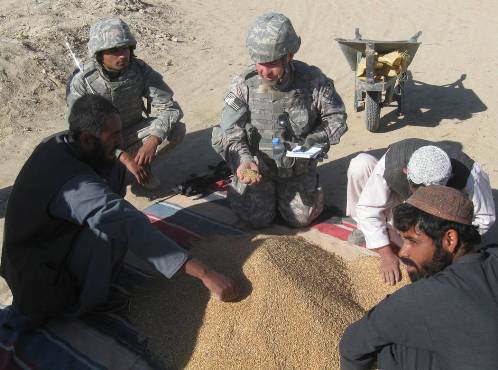 It was one of a small group of projects that comprised The Minverva Initiative, a program funded by the Department of Defense to help better understand the conflicts in which the United States is involved. The fields so supported are distorted by focus on issues of utility to warmaking. Whole fields of study hypertrophy and others shrink or are never developed as researchers are drawn from one field into the other, Pentagon-desired ones. Nuclear and other weapons research related areas grow, at the expense of environmental research, for example. Moreover, theory, methodology, and research goals in such fields as physics, computer science, and engineering after decades of military funding now operate on assumptions that knowledge about force is paramount. These research foci begin to structure what gets taught to students and what research projects students themselves see as the best options for their own work. A brain drain from other research directions occurs. The dependence on single sources of funding with their own agenda tends to reduce intellectual autonomy in ways that go beyond the selection of subject matter for research. The University becomes an instrument rather than a critic of war-making, and spaces for critical discussion of militarism within the university shrink. And if you find this program a little too cozy of a relationship, you’ll shiver at the thought of Human Terrain Mapping. A couple of years ago the Army unveiled a new program called Human Terrain Systems which dwarfs the involvement of academia that programs like Minerva created. The program, as described by the Army, places small Human Terrain Teams (HTTs) with Army and USMC combat teams on the ground in conflict zones. HTTs conduct research on the ground to help create “human terrain” maps that influence combat decisions, including “planning, preparation, execution and assessment of operations.” The teams are a mixture of military and civilian, including social scientists, researchers and analysts. Some have argued that HTS is “weaponizing” disciplines such as anthropology, and the debate has continued over the last couple of years. It’s hard to argue against the fact that universities are being funded more and more by the military, and that this does alter how universities operate – whether you think it’s good or bad. German 201. I like languages but that doesn’t make learning them any easier. I’m glad Kim and I have a class together for once but it will still be interesting to trudge through the syntax and semantics of German. The TA seems nice and helpful, and hopefully the courseload isn’t too much and it’s mostly practicing language and such. SGS Research Methods. Not sure how this class will go. Big research paper (duh) with activities mixed in. At least I’ve got a half-dozen friends in there for three hours every Monday. I’m already trying to decide what I’ll concentrate on – I don’t often have a clean slate for thinking of topics. Social Statistics. I don’t know anything about stats. We’ll see how that translates. U.S. 20th Century Foreign Relations. My third and last class with Dr. Bass, who is great. He teaches well, uses media a lot, and makes things pretty easy to understand. That said, I’m worried what won’t make the cut in a busy semester (in Contemporary U.S. History he skipped Clinton’s foreign policy problems, so I’m hoping we visit them this time around). Either way I’ll be learning and hopefully get some good stuff out of it. Global Environmental Conflict. I’m really excited about this class because it’s stuff I’ve never even thought to think about. We’re talking about how the environment can cause conflict, which inevitably means we’ll spend time on oil and diamonds, but we’ll also visit conflict minerals in the DRC which I’m excited about. What I’m really excited about, though, is some more abstract studies like the mass atrocities in Darfur being caused by climate change rather than ethnic divisions. Also, the final paper takes the form of a policy brief, which will be a first for me. The Politics of Global Justice. My last Peskin class will also be functioning as my capstone, which means I’m probably going to end up doubling my paper length or adding something extra onto the workload. There’s a cadre of like a dozen friends (and almost all of us are ardent Peskin-fans) that I get to sit with too, which always helps. We’re talking a lot about the international courts, about which I’m always stoked to learn more. Plus – for the first time ever – no course reader! Instead of his usual three books and a $40 reader, Peskin put the extra readings online! I should go have an expensive lunch. And now, it’s time for me to go to those last four classes. This will be a good semester, I think. Let’s hope work, wedding, clubs, and life continue to follow suit. Tuesday marked the beginning of the second five-week session of summer school at ASU. For the first time since driver’s ed, I’m taking summer school! Going into this summer, I was worried about whether or not I’d be able to pull off overseas adventures and interning with fast-paced classes. The main motivator behind signing up was to clear the field for this fall semester’s schedule. So, I’m fulfilling my internship but also taking a class on the history of exploration and imperialism and another on the culture of teaching. The history one is looking a bit intimidating, like all history courses. Lots of reading, lots of papers. In the five weeks of class I am to read four books and write five papers. I got some heads up on the reading and have been chipping away at book #1, and on the first day of class I actually started and finished my first paper (due next week). I’ve never been very good at keeping up with online classes during the actual school year, so I was hoping that the environment here would be more accommodating for it, but regardless I resolved to get started quickly and do everything as soon as possible. The education class is pretty up in the air. Like most education classes, it seems like a breeze. It shouldn’t be too intensive, but the number of assignments is a lot bigger, albeit probably made up of easier work. I’m just hoping to stay on the ball and get everything done and out of the way. I have a few days to decide if anything is too much and I can kick a class off, but as of right now I don’t intend on doing so. Ideally, I’ll get these out of the way and free up an already busy schedule this fall. We’ll see how it goes! I have ignored my online class like none other, so I really, really can’t slip up over the next month or else I’ll be close to a really bad grade. Not good. Hopefully the essay I did on E.B. Sledge’s book (With the Old Breed, you all should read it!) on WWII was alright, and I hope the final paper isn’t too difficult to pull off. Beyond that, I have to keep on my discussions and hope for the best. In my Inclusion class there aren’t any due dates for assignments, so long as everything’s done by semester’s end. That’s bad. Of the ten discussions and four clinicals that I should have done in the semester, I had done one discussion and no clinicals as of yesterday. Cranked through a couple discussions last night, and I’m going to try to catch up tomorrow. Then the clinicals, staying on task, and hoping for the best. All of my other classes are going pretty well. It’s just the two that I’ve slacked off on. If all goes well, I’ll be caught up on these two and moving forwards in everything. This past Monday I went in and talked to Tom, an academic advisor for the history department and the Rotaract advisor. I’ll need to petition CTEL, but pending approval I’ll have three majors lined up in a row. Should get everything lined up with the summer internship, fall semester, and spring student teaching. Needless to say, I’m hoping for the best.